Home / Megayacht in Mediterranean Sea: Tax Aspects. Part II. In our previous article we saw how important it is to wisely choose place for yacht registration, in order to optimize taxes. Island state Malta allows reaching this goal, especially in regards to VAT optimization. Malta is also offers few leasing and freight schemes that can allow reducing total VAT amount. We will review them in the article below. In our previous article “Megayacht in Mediterranean Sea: Tax Aspects” we saw how important it is to wisely choose place for yacht registration, in order to optimize taxes. Island state Malta allows reaching this goal, especially in regards to VAT optimization. Malta is also offers few leasing and freight schemes that can allow reducing total VAT amount. We will review them in the article below. This is the most simple and most common model of tax optimization for Maltese yachts. Under this model, the Maltese company (= the lessor) leases the yacht under a long-term contract to a third party (= the lessee, can be natural person or legal entity) for non-commercial use ("pleasure boat"). The leasing contract must be at least 12 and maximal 36 months of duration. After the termination of the leasing contract, the lessee buys the yacht for a symbolic price of 1% of the initial purchase price. 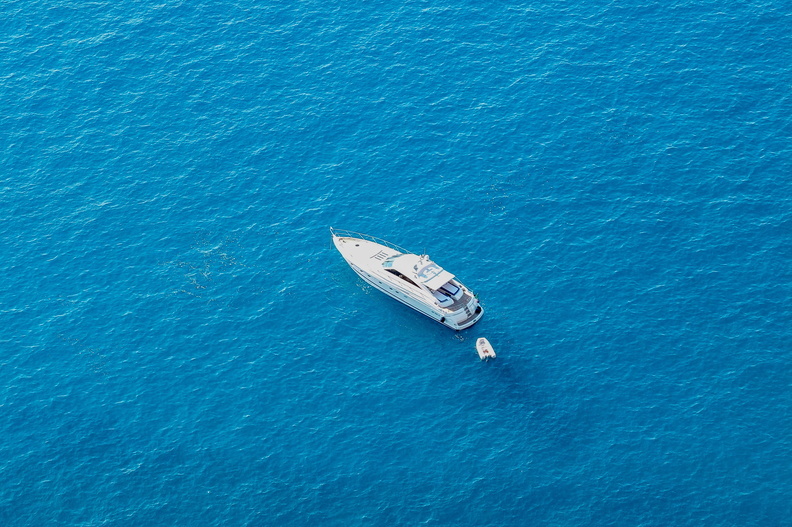 Because of the special rules of yacht taxation, Malta charges for a yacht of more than 24 meters length a VAT of only 5,4% on the leasing rates. In case of megayacht it allows saving lots of money on VAT. The Malta Leasing Model is under increasing scrutiny by the EU tax authorities outside Malta, especially for Megayachts. 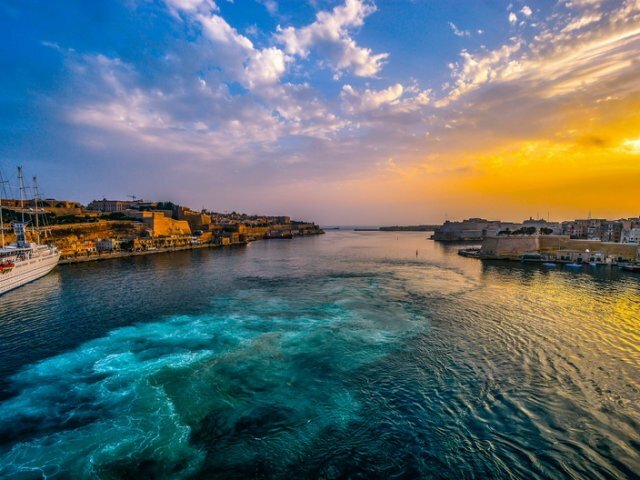 Their tax officers aggressively scan Malta-registered yachts and their "VAT-paid certificates", when they enter their territorial waters, and try to find any black spot, which may lead to a VAT-liability in their jurisdiction. The key points are some major changes in the applicable EU VAT directives, which came into effect in 2015, and the concept of the "Ultimate Beneficial Owner" (UBO). In case of a private yacht, the UBO is regarded as the natural person, who has the effective power of disposition over the vessel. It should be noted that, under EU jurisdiction, the UBO may also be a guest on the yacht, if this person has a long-time use of the ship. "Use" in this case also means using the yacht as a residence or for leisure activities like parties, while it is moored in a port. If the UBO is an EU tax resident, the standard Malta Leasing Model will now regularly be dismissed by European tax courts. They rule, in accordance with the EU VAT directive, that any leasing contract with duration of more than 90 days must be taxed according to the tax laws of the UBO's residence country. Depending on the jurisdiction, this might not only mean payment of the full local VAT, but also additional taxes like corporation tax and wealth tax, and in France, even an additional penalty of 80% of the tax amount because of "abuse of law" ("abuse de droit"). Even a non-European UBO might be regarded as a tax resident on VAT matters, if he/she has a second residence in an EU member state! Also, should the UBO decide to take residence (primary or second) in the European Union during the duration of the leasing contract, the Malta Leasing Model becomes void, and all VAT paid so far on the leasing rates will be lost. If the UBO is not an EU tax resident, and has also no second residence inside the European Union, the Malta Leasing Model in this case may work under the aspects of VAT reduction. But there remain other trap holes. If the lessee is a legal entity (Malta or elsewhere), this legal entity will be regarded as a "passive NFE" under the OECD-CRS rules. Because the Malta Leasing Model assumes that the yacht is a "pleasure boat" and charter use is not allowed, there can't be any commercial activity for this legal entity. The consequence: Under the rules of the Automatic Information Exchange (AIE), the fact that the UBO is controlling the lessee company will be send automatically to tax authorities in his/her home country. What this means depends then on the situation at home. 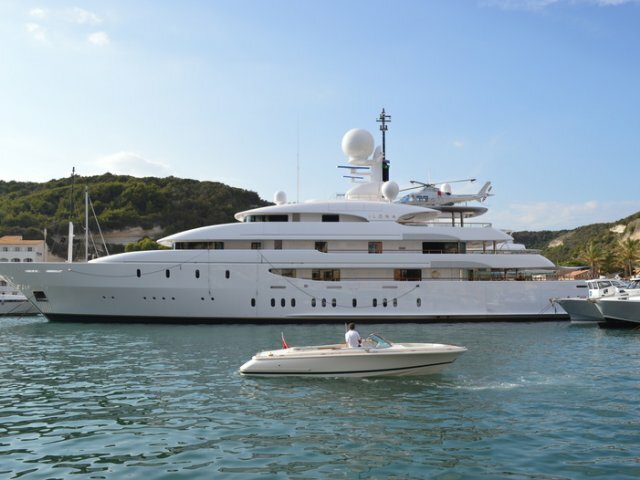 Even if the lessee company makes no profits, it might be that the UBO must pay personal income tax at home, as the local tax authorities may tax the individual on their use of a corporate owned yacht as a benefit-in-kind. It is possible to alleviate this problem a little bit, if the lessee is not a Maltese company, but a Liechtenstein Stiftung. But the "passive NFE"-problem still remains, and a safe solution will require a multi-level holding structure. Also, the operating expenses of the yacht remain as full expenses to the owner; they are deductible nowhere. But on the long term, the annual costs of operation will amount to a much higher sum than any VAT purchase taxes. The clear advantage of the Malta Leasing Model is its simplicity and its easy setup, and it is legally sound from the Maltese point of view. This is why this scheme is heavily advertised by numerous Maltese law firms and yachting consultants. However, the bigger picture, which analyses the situation from the tax aspects of the owner's side, gets mostly lost. This often leads sooner or later to very nasty surprises and costs. Under this model, the yacht is registered in Malta as a commercial yacht under the Malta Commercial Yacht Code (CYC). This registration incurs no extra cost, but additional requirements on the ships safety, technical equipment and manning must be met. However, a modern megayacht fulfills these requirements easily, in any case. The yacht is then chartered on short-term contracts (each no longer than 90 days) to clients (which of course may come all from the same family). Each charter contract is subject to 5,4% Maltese VAT. It is not necessary that the charter periods are continuous; there may be idle periods between them. However, it must be demonstrated that a clear intention to generate profits exists. Under current EU regulations, the VAT on charter rates is calculated according to the rules of the country, where the charter starts (EU "supply of services" directive). This is the port, where the yacht is moored on the first day of the charter contract. To benefit from the low Maltese VAT rates, the yacht must be at a Maltese port on this day. Otherwise, the charter rate will be taxed according to the much higher standard VAT rates of the other EU countries. The advantage of this model is that it is legally safe and resulting VAT payments are very low, especially if the yacht has considerable idle periods. Also costs for crew, maintenance and operation are deductable as business expenses for the charter company. The same holds true for the VAT paid on these expenses. In addition, the charter company is an active business, which will be important for the "active NFE" status of a super ordinate holding structure. The disadvantage is that VAT payments may occur for an indefinite time, as long as the yacht is owned and used. If the yacht is in heavy use, the VAT benefit of this model might disappear after some years. On the other hand, with this model it is possible to transfer profits from high-tax jurisdictions into low-tax Malta, for instance by chartering out the yacht to some companies of the owners family. This is the technically most complicated model, but the one which offers the ultimate tax optimization. Also here, the yacht must be registered as a commercial CYC yacht, in order to allow commercial passenger transport. The yacht is operated by a Maltese company, which is set up as a shipping company. This shipping company then offers the use of the yacht under commercial cruise packages to clients. If the cruise route goes through international waters, the package is regarded as an international passenger transport, and by this exempt from any national VAT! In addition to this, the shipping company may claim all operating and management costs of the yacht, like repair and maintenance, the crew salaries, fuel and even food and drinks on board as operating expenses and deduct any European VAT, which might be included in these costs, as input tax! A commercially operated yacht is also eligible for a tax exempt on fuel under current EU regulations. The tax and business advantages of this model are manifold. In any case, this option deserves further analysis, which must be done in close cooperation with the yacht investor and his/her business experts. The model is also very suitable, if the yacht will cruise substantial time in overseas waters like the Caribbean, the Indian Ocean or South-East Asia. Clearly, this model requires a considerable higher planning and management efforts than all other models discussed here. But as the annual operating costs of the yacht, which are typically calculated as 8-10% of the yacht's initial purchase price, are considered as business expenses under this model, this advantage could clearly compensate the higher management costs. Regarding location, reputation of flag and quality of support services, Malta is clearly the first choice for registering a yacht inside the European Union. It would be also suitable as the primary harbor of mooring. Malta also offers owner-friendly tax laws, both on VAT and corporate profit tax aspects. But as a lot of complicated cross-border taxation aspects must be considered, there is no easy "standard" solution for tax optimization. To ensure a smooth, tax-safe and stress-free operation of the yacht in Mediterranean waters and a successful integration into the owner's holding structures, a careful and in-depth analysis of many aspects will be necessary. A megayacht has considerable fixed and variable costs for operation, maintenance and management. As these costs incur every year, they will accumulate to a considerable amount during the lifetime of the vessel. A solid concept of tax and cost optimization must also consider these costs, before deciding for a specific form of holding structure. It should be noted that costs for maintenance, mooring and fuel, contain local VAT and other taxes at European Union ports. A yacht of large size, if registered under Malta CYC regulations, requires a minimum marine crew of 3 deck (captain + 2 officers) plus 2 engine (1 engineer + 1 mechanic) personnel. As a modern megayacht is a technically complex thing, the crew must be qualified and trained on the specific model of yacht. In addition to this, a service crew is needed. Depending on the demands of the owner, at least 1 chef d'cuisine, 1 chief steward plus several stewards/stewardesses (on a high-class vessel, 1 per guest cabin) is needed. Salaries per year might be up to 700000 euro per year. Of course, the on-board crew must eat and drink, is eligible to medical and social security insurance under European standards, and has a right of paid vacations and rest time. Calculate 35% of the crew's salary as side costs. As a rule of thumb, at least 2% of the initial purchase price of the yacht should be calculated on the annual provisions for maintenance and repair. Costs for liability and damage/fire insurance: approx. 150.000 EUR p.a. These costs, of course, depends on what harbors the owner wants to visit and may vary considerably. For a 40-m yacht, they range from over 4.000 EUR per day in high-season at the most popular ports to less than 500 EUR per day in winter. On average, approx. 400.000 EUR should be calculated for this per year. This depends on the size of the yacht's engines, the weather, the distances travelled and the speed, at what the owner wants to cruise. At normal cruising speed and calm waters, 250 liters/hour is a good estimate. The cost of fuel varies considerably from port to port, as each jurisdiction has its own rules of taxation. Simply from experience, you can expect annual fuel costs of 400.000 - 500.000 EUR for a megayacht cruising in the Mediterrean. This depends on the operation model (leisure / charter / shipping) and the holding structure chosen. Based on the above estimates (which are very moderate), the operating costs of the megayacht considered here will be more than 2,5 Mio EUR per year, with the vast majority (more than 1,7 Mio. EUR) being fixed costs. Therefore, cost-based tax optimization (in the sense that yachting costs can somehow offset taxable profits made elsewhere in the owner's other businesses) is at least as important as optimizing the initial VAT tax load! Therefore, issues of tax optimization, maintenance and management costs, wise organization of asset into holding structure have to be solved by the investor prior to yacht purchasing. Given the wise approach to these issues, ownership of the yacht will a real and unburdensome pleasure.